The Onikira Soundtrack: Immerse yourself in the beautiful sounds of the world of Onikira. Digital Artwork from Digital Furnace Games: Explore bonus art work from developers, Digital Furnace Games. Developed by Irish-based indie, Digital Furnace Games, Onikira: Demon Killer is an awesome side-scrolling, 2D beat’em-up set in fantasy feudal Japan. As Yamazaki Jiro, a lone samurai, players battle to prevent the forces of the Japanese underworld, Yomi, from consuming the land of the living. 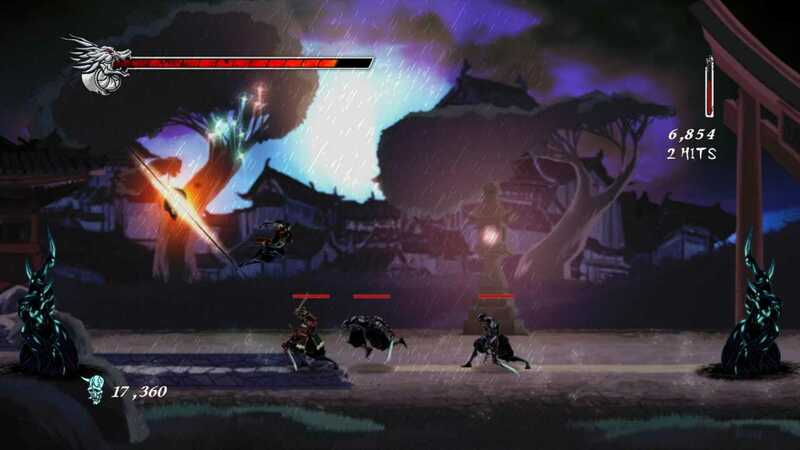 Onikira: Demon Killer blends together complex deep fighting mechanics usually found in traditional 3D beat-em’ups, like Ninja Gaiden or Bayonetta and merges them with classic 2D platform-game mechanics. 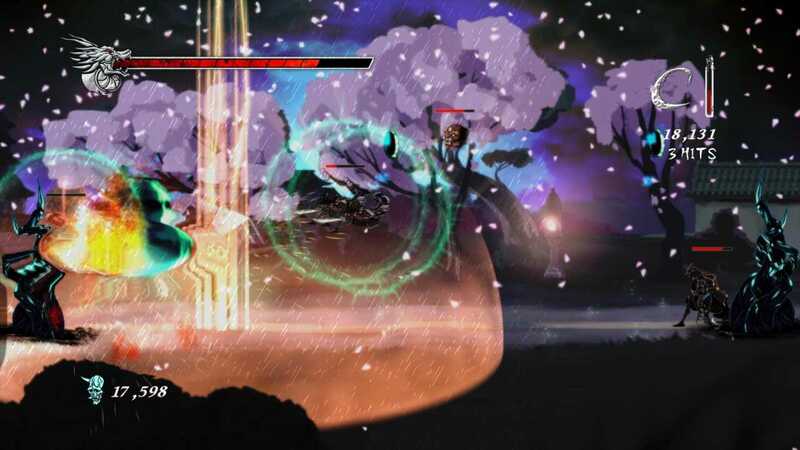 Onikira’s expressive fighting system enables players to engage in whichever way suits them best. Some players will prefer to go toe-to toe with heavy weapons and mash buttons while others will opt for a ranged game style, avoiding heavy melee encounters. 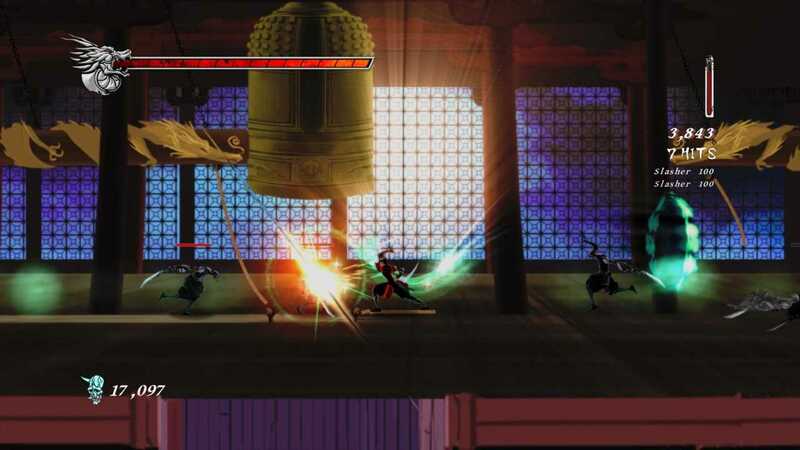 Try launching an enemy into the air, wall jumping to position yourself above them then Katana Slaming them into the ground. Switch weapons to the Naginata and use the Naginata Lift and air dash moves to stay in the air and off crumbling platforms, while pulling enemies up to you to be dispatched in mid-air. Whip out your grappling hook to grapple between platforms, across chasms or fiery pits, all the while fending off enemies. 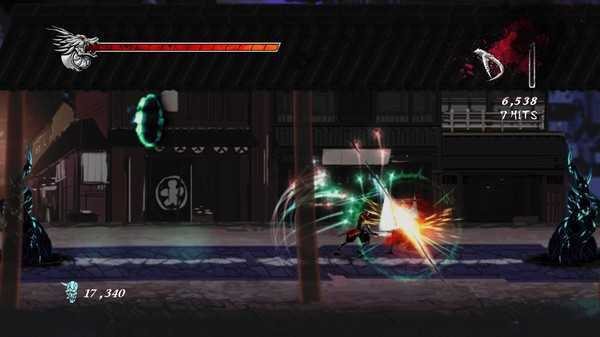 Onikira: Demon Killer boasts seven challenging areas and players can express themselves with over forty uber-cool moves, using four devastating weapons. Each level is littered with foul demons that players must dispatch back to the underworld and players must also face two mini-bosses and two epic mega bosses. Every level is crammed full of environmental aids to help the player in combat encounters. Slice the support pillars off a building and watch it crush your enemies as it collapses, or use your moves to fling enemies into spikes, pits, or the path of moving deadly objects. Be careful though, as dropping a building on your own head is known to cause sadness! Responsive and Expressive Combat System – players are rewarded for strategic and skill-based fighting. Play flows naturally from move to move, allowing the player to create new combos that haven’t been designed explicitly by the developers.